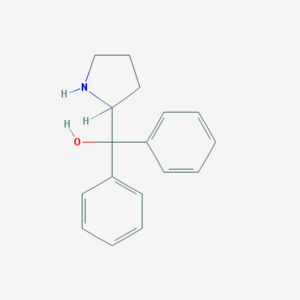 Diphenylprolinol (D2PM) is a stimulant that presumably acts as a reuptake inhibitor for dopamine and norepinephrine. Most of its use seems to have occurred between the late 2000s and early 2010s. As it isn’t particularly recreational and may have other negative qualities, its use has declined. Overdoses have led to hospital visits, but no deaths have been reported so far. There are some reports stating the drug isn’t even as potent as those doses suggest. It’s possible the actual dose range is more along the lines of 50 – 100 mg. Yet, there are enough reports of 20 to 40 mg being effective that it’s wise to stick with that dose range, at least initially. Users have reported taking D2PM orally, rectally, intranasally, and sublingually. The core effects seem to last for under 6 hours, followed by stimulation for at least a few more hours. In overdose cases, stimulation and some psychological effects may persist for over 24 hours. D2PM is usually said to be more functional than recreational, with little more than mild mood lift being reported. Music enhancement and very pro-social effects are lacking. Some comparisons have been made to cocaine. For most people, cocaine will probably be more recreational. Its physical effects aren’t very strong (based on the user’s perception) at common doses. Most users don’t report issues like sweating, significant jitteriness, or a pounding/racing heart. D2PM is a pyrrolidine analog of pipradrol. Piprdadrol was developed as an obesity treatment and also has mild stimulant effects. Its structure is also similar to 2-DPMP, another research chemical stimulant. 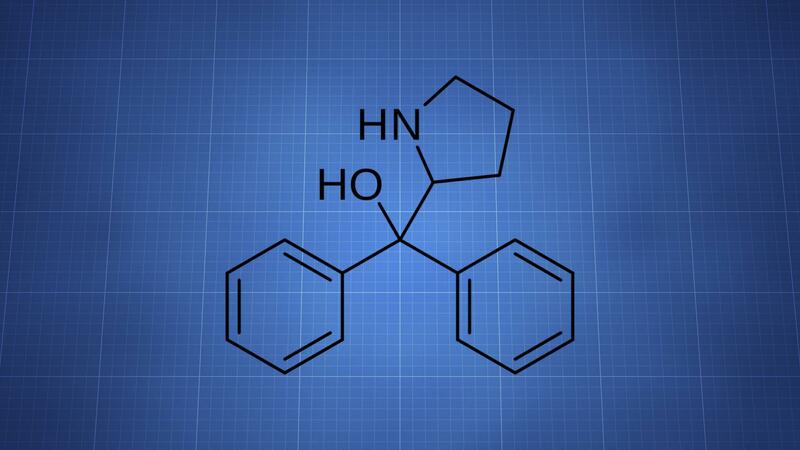 The drug is believed to act as a norepinephrine-dopamine reuptake inhibitor (NDRI). Its patent claims both the R(+) and S(-) isomers can bind to the dopamine transporter (DAT), similarly to cocaine. The uptake inhibition efficacy is lower for both isomers, according to the patent, with R-D2PM being similar to cocaine. The patent for D2PM was filed by Guilford Pharmaceuticals Inc, a US company, and the substance was described as a DAT inhibitor. Its activity was only explored to a limited degree. No hospital visits or cases of it being sold were reported in the formal literature until this point. It was first detected in tablets purchased from an online store during tests at St. George’s University in London, UK. The first case of recreational use leading to an Emergency Department (ED) visit occurred in 2008 in London. A user had taken tablets that were later found to contain both D2PM and glaucine. Hypertension, agitation, and tachycardia were reported in the hospital. Those effects were attributed to the D2PM. Between 2007 and 2008, three seizures of the drug were reported in Sweden and Finland. More use was reported during this time. Experience reports were posted online and more individuals went to the ED. An increase in seizures occurred throughout Europe after 2010, including in Belgium, the Czech Republic, Germany, Norway, Slovakia, and the UK. One of the common factors in the case reports is that users didn’t knowingly take D2PM. They took it due to misrepresentation, as part of a branded product, or because they were simply taking an “unknown” substance. Browsing the online offers revealed it was being sold at quantities of 5 mg to 10 kg. The majority of its use seemed to occur prior to 2014. D2PM declined in popularity by 2016, presumably due to it not being a very interesting or recreational substance. Not enough information exists to say what a reasonably safe dose is or how safe chronic use is. To reduce the chance of harm, it should be taken at common doses, without combinations, and as infrequently as possible. The acute effects tend to decline in under 6 hours, but there are cases (likely overdoses) where users have experienced negative effects for over 24 hours. Insomnia and anxiety are two primary symptoms that have been reported for up to 96 hours post-administration. 33-year-old male took eight capsules of “Benzofury” over a period of 6 hours. A short-lasting “rush” was obtained. He arrived at the ED 48 hours after using the drug and exhibited anxiety and paranoia. Dilated pupils were observed. 21-year-old male took one capsule of an unknown stimulant. Nausea, vomiting, and a racing heart occurred. Those symptoms eventually dissipated, but the user was left with insomnia and anxiety, which were still present upon reaching the ED 48 hours post-administration. 29-year-old male used 1 gram of “NRG-3” and a small amount of MDMA powder. He went to the ED 60 hours after use and complained of prolonged insomnia. His pupils were dilated. D2PM, amphetamine, MDMA, diphenhydramine, and 4-methylmethcathinone were detected. 25-year-old male took an unknown liquid which was believed to contained GHB or GBL. After using the substance, he collapsed. Anxiety and insomnia were then reported for 96 hours. Dilated pupils were observed. D2PM and diphenhydramine were detected. 17-year-old male intranasally used 1 gram of “MDMA” and developed tachycardia, paranoia, and visual hallucinations. 24 hours after taking the drug, he still had insomnia, paranoia, visual hallucinations, tachycardia (120), hypertension, and dilated pupils. 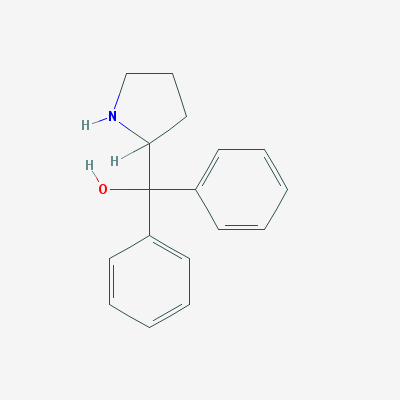 D2PM and 4-methylcathinone were detected. 21-year-old male took 3 tablets of “Head Candy” that had been purchased at a street shop. He felt euphoric for several hours. After also using a couple doses of “poppers,” he developed ischemic-like chest pain. He entered the ED two hours after the chest pain subsided, though he still had tachycardia (124), hypertension, agitation, and pupil dilation. Agitation and hyertension declined after the administration of diazepam. D2PM and glaucine were detected, with the former blamed for the observed effects. One study examined the in vitro differences between D2PM, MDMA, and MDA in terms of their cellular toxicity. In the study, which used PC12 cells, D2PM was more toxic and it inhibited the neurite outgrowth that would normally appear after NGF (nerve growth factor) exposure. (2012) Use and acute toxicity associated with the novel psychoactive substances diphenylprolinol (D2PM) and desoxypipradrol (2-DPMP). 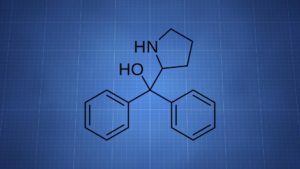 (2012) 2-DPMP (desoxypipradrol, 2-benzhydrylpiperidine, 2-phenylmethylpiperidine) and D2PM (diphenyl-2-pyrrolidin-2-yl-methanol, diphenylprolinol): A preliminary review. (2010) Recreational drugs, 3,4-Methylenedioxymethamphetamine(MDMA), 3,4-methylenedioxyamphetamine (MDA) and diphenylprolinol, inhibit neurite outgrowth in PC12 cells.